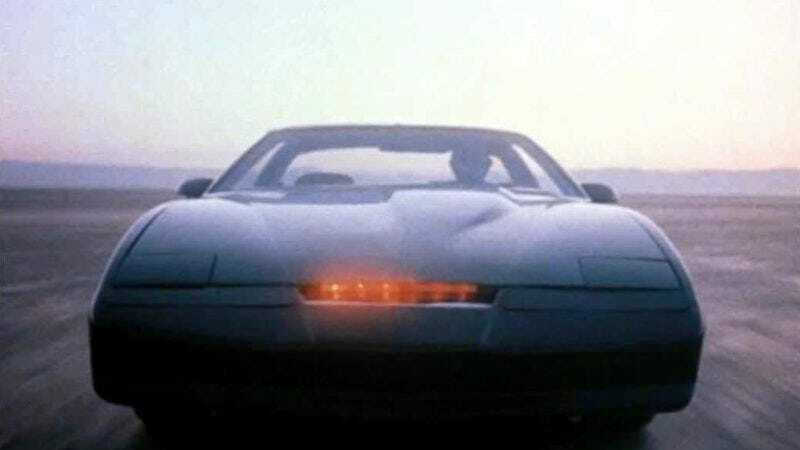 As revealed by Yahoo, famous Canadian singer Justin Bieber will provide the voice of KITT, the talking car from Knight Rider, in that movie about Ken Jeong trying to kill David Hasselhoff. Now, that’s pretty weird on its own, but the story of how Bieber got into the movie is even weirder. The way Hasselhoff tells it, Justin Bieber called him up one day and asked for a favor—a favor that the benevolent Hasselhoff had no qualms granting—and when it came time to find someone to do the voice of a talking car in his bizarre vanity project about people wanting him to die, he decided to call in the debt that Bieber owed him. So now Justin Bieber is the voice of KITT, much to the chagrin of the diehard Knight Rider fans that we assume are out there somewhere. However, the most interesting part of this story is the thing that Hasselhoff was suspiciously vague about: What favor did Justin Bieber need from him? Bieber could probably buy several David Hasselhoffs of his own at this point, so what could the guy from Baywatch possibly offer him? Advice on how to unite East and West Germany with the power of music? Either way, William Daniels must be upset that—actually, no. He probably dodged a bullet on this one. Good for you, Mr. Feeny.